An Exchange Print Portfolio between Open Studio Canada and Sydney Printmakers Australia. Pine St Studios, Sydney, 2013 and Whitby Station Gallery, Toronto, Canada, 2013. 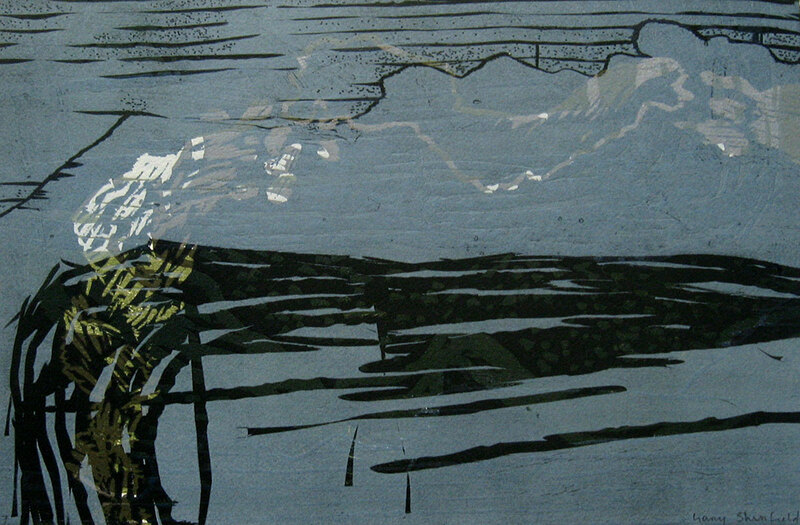 Sound of the River 1, woodcut, 28 x 37 cm, edition of 44 with artist proofs, 2013.